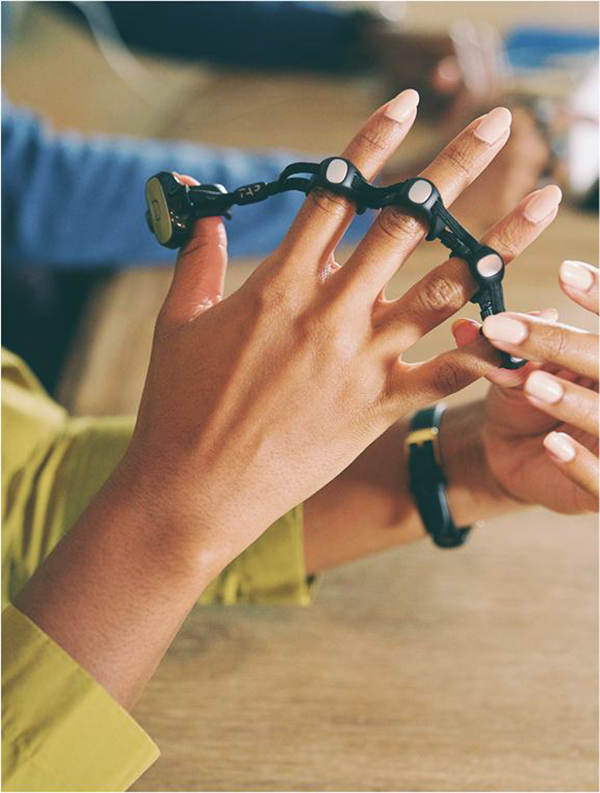 The Tap Wearable Keyboard is something you put on your fingers (see pictures) and it acts as a keyboard. Yeah, it’s not completely the same, but it types letters if you make the right combinations. It only works on Android and IOS right now and it’s fairly simple. If you tap your index finger you’ll get a letter. Tap your middle finger, you’ll get another letter and so on. This does also mean you have to learn a whole new style of typing. 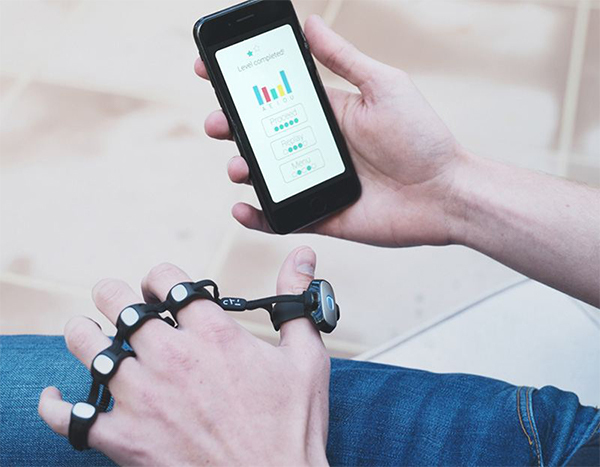 Although the Tap Wearable Keyboard might not be ideal for everyone, it’s still a great gadget. It makes you type without pressing a key and you can use it to play games. However, they say you can learn this in two hours (with a very well built app), but that’s a bit optimistic for me. I was able to remember certain letters, but could definitely not write an entire sentence after two hours. The tap keyboard is fun to use and lets you discover a new style of typing. At around 179$ it’s not cheap, but it can be a fun gift for a tech-savvy person! You can find the tap keyboard here.